If it is no to much to ask, would it be possible to write me step by step guide where, and what to copy/alter? Last edit: 30 Dec 2018 13:05 by garulus. I think that the 125 TLC might have a different setup to the Orac. But both should be supported by the latest version of the "carousel" component. The example config seems to be using 4 stepgens, which seems oddon a lathe. 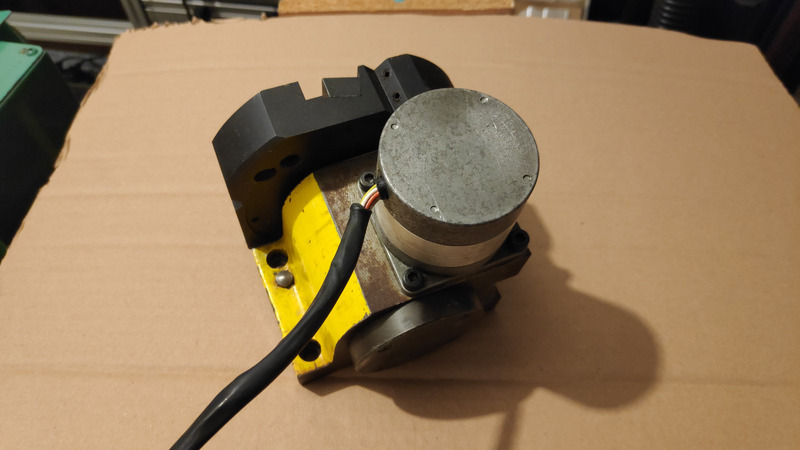 Is your toolpost moved by a stepper motor or a DC motor? I set up an Orac in Stuttgart this summer, but I think the 125 is different. I do have Orac Denford Lathe without toolchanger+ toolchanger from Boxford 125 TCL driven by stepper motor. Hi Andy! I have no idea what is “carousel component”, and how it would help me. Is there any guide I can follow to make my 8 position tool post driven by stepper motor works? Or if it is not too much to ask, can you guide me step by step please? We would need rather more information on the nature of the feedback and control if the turret to help further. Hi @garulus. Did you ever manage to get this working? If not I might be able to help as I have the same lathe, same turret and wrote my own configuration to make it all work.